Consider a trip to Warsaw in September. This early fall month brings with it cultural, musical, and even scientific events. Temperatures drop from summer levels, making strolling through the city's parks enjoyable and sightseeing pleasant. Hearty Polish food serves as a good way to warm up and refuel: dumplings and stews are especially welcome when fall hits. September is a beautiful time to travel to Warsaw. Temperatures are still pleasant, but crowds thin out. A refreshing nip in the air, the oranges and browns of autumn leaves, and the smell of fall soften the city landscape before the harshness of winter sets in. Light sweaters, long pants, good walking shoes, and an autumn jacket are musts for travel to Warsaw in September. Be sure to check temperatures prior to your date of departure. If you are traveling towards the end of September, in particular, you might find that warmer clothes are in order. Plenty of interesting festivals fill Warsaw's September calendar of events. Jewish heritage is celebrated on Pozna Street and the surrounding area for the Festival of Jewish Culture. Also visit the former Jewish ghetto and the Jewish museum in Warsaw for a more thorough understanding of this aspect of Warsaw's past and present. The International Festival of Circus Arts brings the best circus entertainment to Poland's capital city--a good event for families. The Science Festival comes to Warsaw in September. Lectures, presentations, and exhibits, meant to encourage awareness, highlight scientific discoveries and facts. Warsaw Autumn is also known as the International Festival of Contemporary Music and takes place during the month of September. Buy tickets for related concerts and enjoy an evening at a restaurant followed by an hour of music in one of Warsaw's concert venues. Autumn is mushroom season in Poland. You'll find restaurant menus take advantage of the fresh fungi that are so popular during this time. Warsaw's Park's and gardens are also pleasant during fall. Lingering flowers and moderate temperatures make them peaceful green spaces for reflection, photography, or simply relaxation. Consider trying to find a hotel located close to old town, which should be easier during this time of year. Though Warsaw is sprawling and has a relatively small old town, this location will put you in good proximity to sights, museums, restaurants, and cafes. From the old town, you'll be able to walk to many important landmarks, take a carriage ride, or shop for souvenirs. Keep an eye on events calendars, which will have information about temporary exhibitions, concerts from visiting musicians, or other one-off activities that you might find worthwhile to work into your itinerary. September is also a lovely time to explore other cities in Poland. 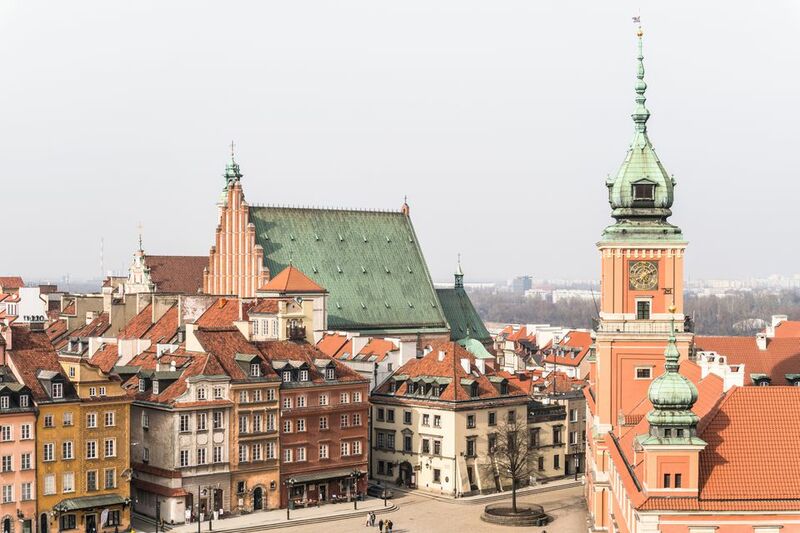 Consider splitting your time between Warsaw and Krakow or Gdansk, which are both an easy express train ride away and represent two completely different regions of Poland.